Quick Release mount for Picatinny or Weaver bases. Used on A3 Flat Top Upper receivers. Return to zero mounting system. Choose style of rail mount below. 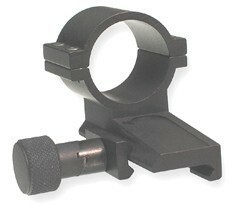 Use of the Aimpoint spacer will co-witness with the front sight post.